SavvyMob, a mobile marketplace for last-minute hotel bookings, has secured an undisclosed amount in seed funding from Aarin Capital Partners, a VC fund co-founded by former Infosys director TV Mohandas Pai. A bunch of top angels associated with online deal making platform LetsVenture have also invested in this round, SavvyMob said in a press statement. SavvyMob, run by SavvyMob Travel Solutions Pvt Ltd, will use the money raised to up marketing effort and target business and leisure millennial travellers. The company will add inventory for about 5,000 hotels across 100 cities in the next few months, SavvyMob co-founders Bikram Sohal and Gappan Annamalai said. Currently, it covers hotels in about 50 cities. 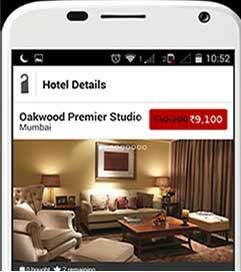 The digital market for hotel bookings accounts for 30 per cent of India’s overall hotel market. “With growing smartphone user base in India, SavvyMob is in a great position to be the go-to last minute hotel booking partner for SMEs and independent travellers. Strong relationships with hotels and a strong technology platform makes SavvyMob a leading aspirant in this space,” Pai said. SavvyMob is available on Apple App store and Google Play. Every online travel agency (OTA) that deals with hotel bookings is a potential competitor for RoomsTonite. It also competes with similar last-minute hotel booking services such as RoomsTonite, Nightstay and HotelsAroundYou, all of which have received external funding. In August last year, NightStay raised $500,000 in seed funding led by Vivek Bihani of Bedrock Venture Management Pvt Ltd with participation from Rajesh Sawhney (founder of GSF) and Shailesh Vikram Singh (executive director, Seedfund). RoomsTonite raised $1.5 million in seed funding from a group of angel investors in December last year. Mumbai-based Instant Hotels Around You Pvt Ltd, which is behind HotelsAroundYou, secured seed funding from startup accelerator VentureNursery in 2014. Pai is an active angel investor with a portfolio of over a dozen startups. As per VCCEdge, the data research platform of VCCircle, he was one of India’s top angel investors in 2015, picking up stakes in 18 startups including Gingercrush, Licious, OnlineTyari and other consumer tech firms. Pai recently joined the board of iBus Networks & Infrastructure Pvt Ltd, a startup that specialises in connectivity solutions inside buildings.